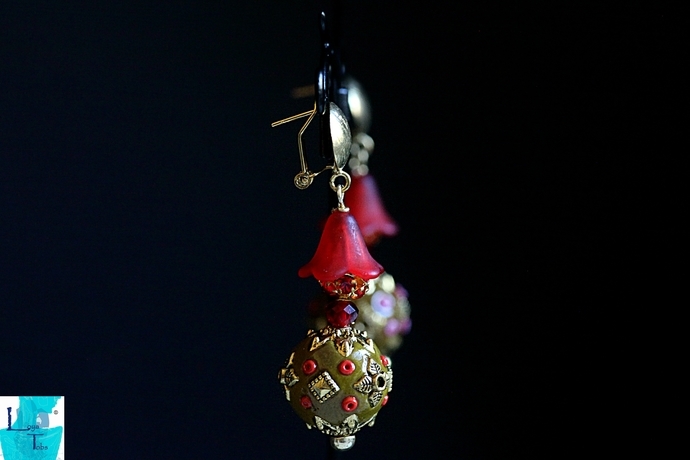 A simple drop pair of earrings in red, clay brown and gold colours. They are very pretty and decorative. 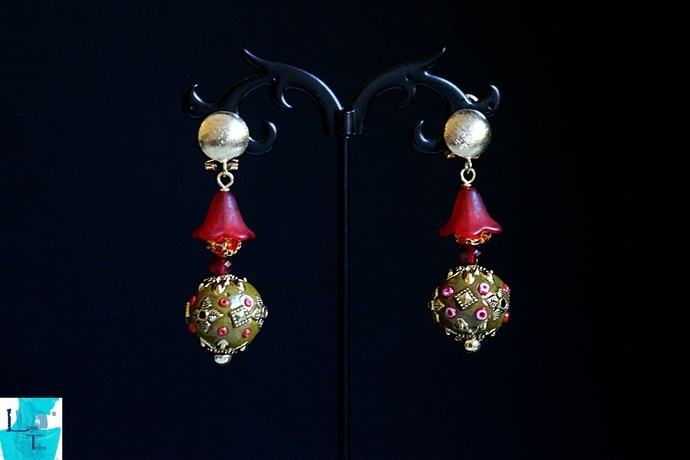 * 16mm decorative Indonesian clay beads.